On 23 June 2016 the electorate in the UK voted to exit the European Union (EU). Asset management is an area which is heavily regulated at EU level and there is now great uncertainty surrounding what will happen to the UK's asset management offering. Markets in Financial Instruments Directive (MiFID) which governs investment firms. Currently, an entity which is authorised in the EU under any of these three regulatory regimes is permitted to market itself on a pan-European basis and provide services cross border, without the necessity for local authorisation, the establishment of a subsidiary or compliance with the local private placement rules. Although it is possible that the UK may negotiate to retain its passporting rights, it is more likely that UK investment firms and collective investment schemes will become “third country firms” and cease to benefit directly from the MiFID, AIFMD and UCITS passporting regimes following an EU exit. The impact of the loss of passporting rights on asset management and investment funds domiciled in the UK will depend on the location of the investors and target markets. Where marketing within the EU is a key part of the distribution strategy, the loss of passporting rights may necessitate the migration of funds or fund managers out of the UK, or the establishment of subsidiaries within the EU. In the event of a large scale migration of asset managers and/or investment funds out of the UK, it is possible that many will choose to redomicile to Ireland, given its reputation and experience in the area, its favourable tax regime, its proximity to the UK and because it is the only other English speaking country in the EU. However, while an influx of business would be positive for the asset management and investment fund industry in Ireland, it is important to also consider the negative impact it may have on Irish investment funds and asset managers, if the UK is excluded from the passporting regime. Irish domiciled investment funds and asset managers who previously marketed into the UK under the passport regime may have to negotiate private placement rules following Brexit. Again, the impact of this is unclear at this point and will depend on the distribution strategies of the individual funds and asset managers as well as the private placement regime implemented in the UK following a Brexit. Set out in the table below are some high level implications of a Brexit on UK domiciled funds and fund managers. 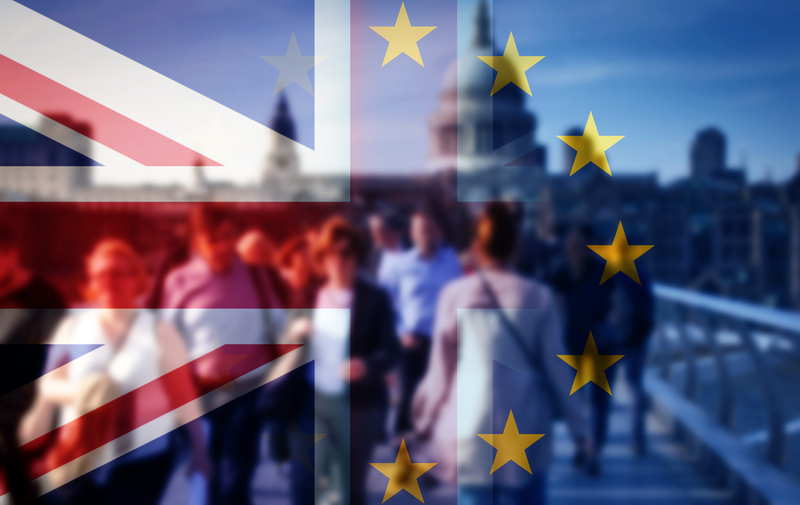 Investment funds and fund managers who are domiciled in the UK, or who market into the UK under the MiFID, AIFMD and UCITS passporting regimes, will now need to begin implementing their contingency plans in the wake of the "leave" vote. UCITS must be domiciled in the EU and be managed by an EU management company. In the absence of a renegotiation of the status of UCITS management companies post-Brexit, a UCITS with a UK management company would need to appoint a management company in an EU jurisdiction or re-domicile the existing UK management company to another EU jurisdiction. Post Brexit, a UK domiciled UCITS will lose the right to market the UCITS to investors on a pan-EU basis. An Irish domiciled UCITS will continue to be permitted to market UCITS on a pan-EU basis. Marketing of Irish UCITS into the UK will be subject to new, post Brexit, local UK law. Alternative Investment Fund (AIF) managed by an Alternative Investment Fund Manager (AIFM). A UK AIFM managing an AIF will no longer be able to do so as an authorised EU AIFM. It may be able to continue to manage the AIF as a third country AIFM. AIFs with UK AIFMs may therefore need to consider establishing an AIFM in Ireland or another EU jurisdiction, or appointing a third party AIFM in another EU jurisdiction, with the portfolio management function delegated to the UK manager. The marketing passport under the AIFMD is granted to the AIFM and not to the fund product. As only authorised EU AIFMs can access the marketing passport, post-Brexit, AIFs with UK AIFMs will lose the right to market the AIF on a pan-EU basis. An Irish AIFM will continue to be permitted to market AIFs on a pan-EU basis. Marketing of an Irish AIF into the UK will be subject to new, post Brexit, local UK law. If you would like further information, please contact David Williams at dwilliams@lkshields.ie or Trevor Dolan at tdolan@lkshields.ie.